1. What is echocardiography ? The cardiac doppler ultrasonography or echocardiography or cardiac echocardiography is the pictorial representation of all the tissues of the heart. 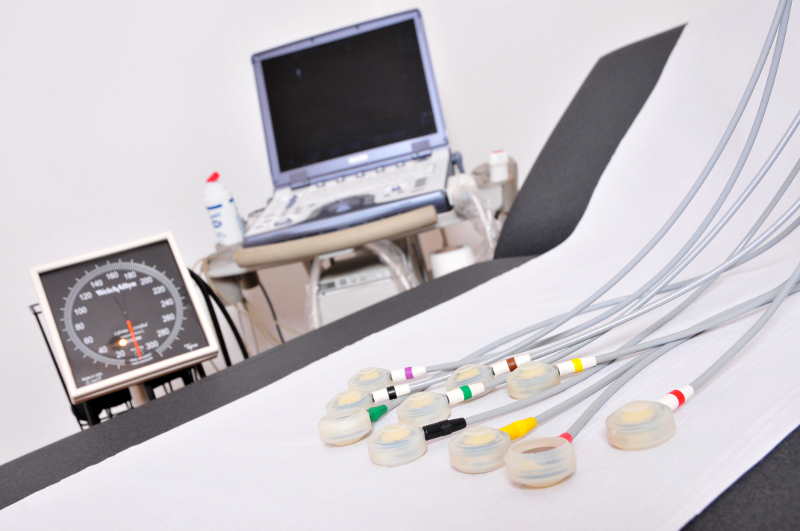 Echocardiography was the first medical application of ultrasound. It allows doctors to analyze the heart muscle. The color Doppler allows precise analysis of the functioning of heart valves. This test explores the heart and provides extensive information to the cardiologist. All diseases of the heart muscle require the realization of echocardiography for precise diagnosis. The doctor uses this test among others to support his diagnosis. The patient, naked trunk, lies on one side on the examination table. The cardiologist uses the ultrasound probe covered with gel (allowing better transmission of ultrasound through the tissue) on the skin of patients with different known positions by the doctor. The test takes between ten to twenty minutes. It is completely painless and without any danger, even for children or pregnant women.